Speedy Kevin: Pretty slow week... On the brightside possible good weekend and demo day coming up! Pretty slow week... On the brightside possible good weekend and demo day coming up! It's actually been a long time since I used a blog so hopefully this will turn out good. 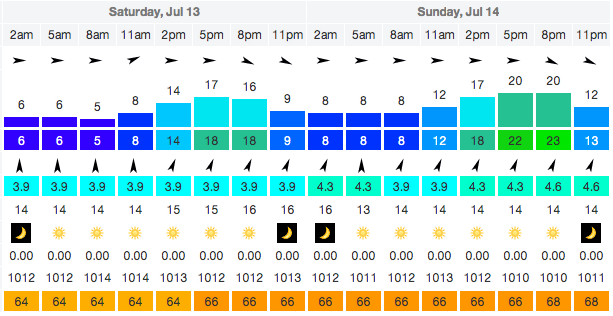 Anyways the wind has been pretty much lackluster this week thanks to the monsoon like weather we have been getting. 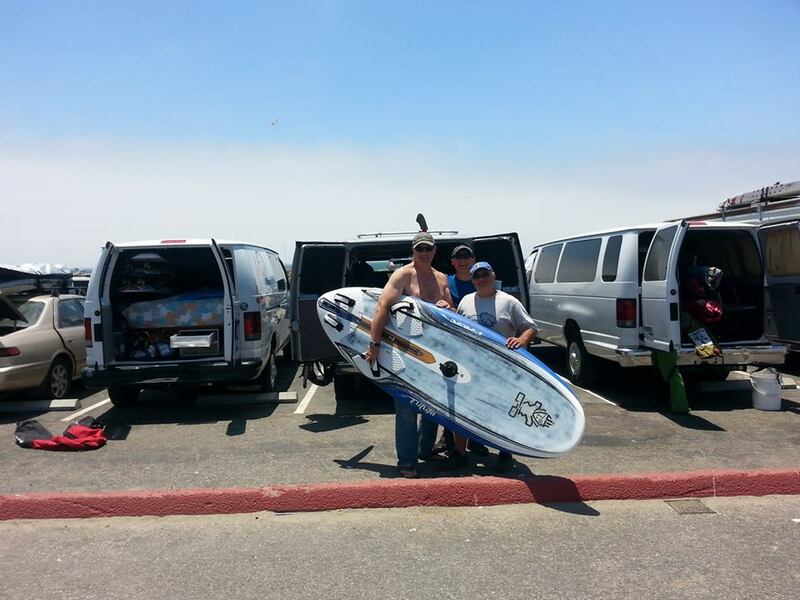 Mike Godsey of WeatherFlow/Iwindsurf wrote a pretty good article on his blog explaining what's up with the weather. Check it out! 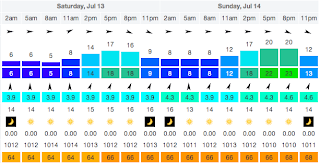 I did manage to get at least 2 days of sailing in. Not as much as I'd like to get in a week but hey after not going for 3 weeks I was quite content. 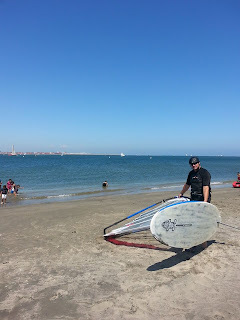 I did get to try out the new 2012 (ok old) KA Koyote 7.4 on a Chinook Carbon 60rdm with my HiFly Free 272 + 37cm Select S09. As most of you know, I mainly used my 6.6 KA Koyote for most of the 2012 season but decided to experiment a little this season. The inside of Cabrillo is notorious for gusts and lulls and while the 6.6 got me going 90% of the time, the other 10% definitely added much frustration to what could of been a great session. Nothing worse than coming in for gybe and than hitting a lull. Why did I go for such a big sail? I'm only 63kilos and everyone keeps telling me I should be on a 6.0... Well after much fiddling with Jim Douglas's Windsurf Gear Calculator, I decided to go with a sail that would work for me in 13mph of wind (7.4) as this was the lowest the lull went on the inside. With a decent amount, if not a lot, of downhaul the 7.4 was perfect! After a few more sessions with it I'll write a review up on it. I will say that it definitely seems to be better made than 2010 model I have and the black on it looks great compared to the silver from the previous models. I also installed an adjustable outhaul which made sailing the 7.4 overpowered a breeze! Would highly recommend the adjustable outhaul to those who like sailing powered to overpowered. If you sail just rightly powered up than I wouldn't recommend it. Looking forward to using the 7.4 and AO system more this upcoming weekend. Forecast looks great! 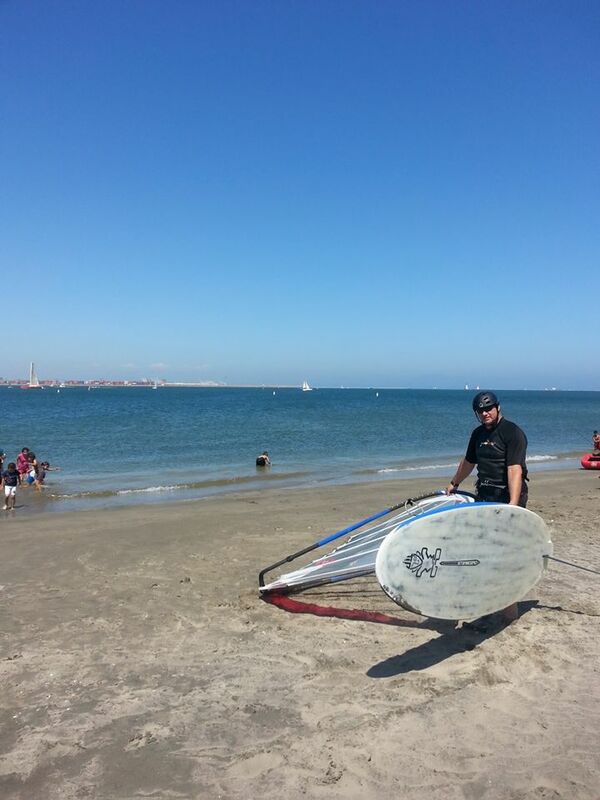 On another note, I talked with Jurg of WindSurfDeal this morning and we are hoping to set up a KA Sails Demo Day sometime in the near future. Would also like to try to get some Select Fins for the demo day too like the Edge Freeslam, most of the S1 line, and of course the LFP line too if possible. The sails will be there for sure but fins, well we will see! Keep your fingers crossed! I know you guys will love the Select Fins when you try them. I let Jack, one of the fastest guys on the inside, demo a 51cm VMAX on his Futura 144 and he loved it! I honestly thought I'd never get him to love anything else besides his Makani HahaLuas. Well that's it for me! I'll see you guys at the beach this weekend!